Join Denver Recruiters and 200+ of your peers for a premier professional development event on Thursday, November 2, 2017 – at the Denver Aquarium. We’re featuring 2 keynote speakers including Steve Lowisz and Mark Landwer. You’ll learn ways to become a more influential recruiter and strategies to attract and hire the right talent. 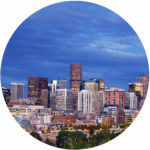 Denver Recruiters is a Recruiting and HR Community for Professionals in Recruiting, Talent Acquisition, Talent Management, and HR.